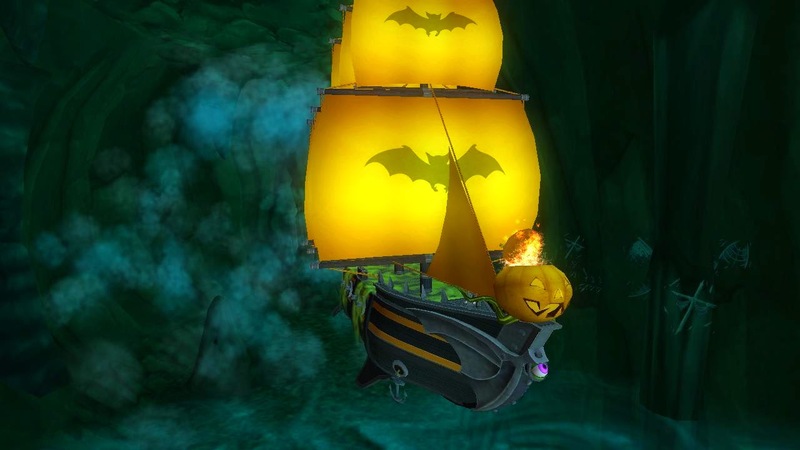 Around the Spiral with Edward Lifegem: Pirate101 Halloween Items! Kingsisle released all of the Halloween items today that were announced on Kingsisle Live! There's a ton of spooktaculuar items such as the new Black Tiger pet, new masks and face paintings :D. You can buy all of these new items in the crowns shop. Please make sure you buy them before it ends on November 2nd! Did I mention that the Haunted Galleon is also back in the crowns shop for 5,000 crowns?! This is a great sale because this ship is one of the best ships in the game (my opinion). Make sure you buy that ship before November 2nd, so you can have it for next Halloween. :D If you would like more information about Halloween in Skull Island, click HERE or the image below.